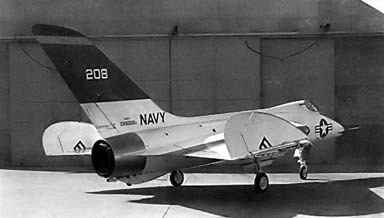 The Skylancer was a derivative of the F4D Skyray which was developed as an all-weather interceptor under the designation F4D-2N. The Skylancer was meant to run on the newly designed Pratt & Whitney J57 engine, and due to that reason at some point the changes in the concept became so big, that it received its own designation. Only the basic concept of the Skyray was kept, while all parts were redesigned: The wings became thinner, the Tail taller and the fuselage longer. The internal fuel capacity was increased for 35%. In the end, the Skylancer received the improved J79 engine, which was meant to give it higher stability, especially at supersonic speeds. The Skylancer made its maiden flight on april 21st 1956 and turned out to be a high performance craft that was supersonic and easy to maneuver. 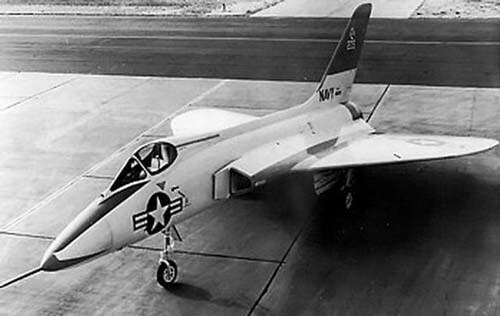 The U.S. Navy ordered 19 test aircraft to evaluate the Skylancer, but only 4 were built, after the decision was made to order the Vought F8U Crusader, which had similar capacities. Some sources state, that this was mostly a politic decision. It was feared that Douglas could gain a monopoly since almost all of american Navy Aircraft were built by Douglas at that time. If it would have ever entered service as an interceptor, the Skylancer was meant to carry four 20mm guns in the wing roots with 72 unguided 51mm rockets carried in an extentable launcher or two half-recessed Sparrow missiles, and up to four Sidewinder-missiles on external hardpoints. 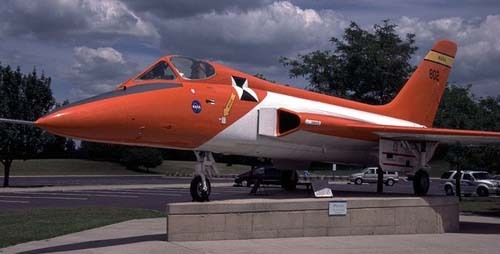 The only four Skylancers were acquired by NASA to be used as test aircraft, the decisive argument being their high performance in connection with their wing shape, which let the Skylancer have a similar handling as th eprojected X-20 Dynasoar space-plane. The Skylancer was mostly used to simulate re-entry maneuvers and abort-procedures. In the abort-procedure-tests, the Skylancer was flown vertically up to simulate the Dynasoar’s start from the top of a titan-class rocket. Then the pilot would let the Skylancer stall to simulate the Dynasoar’s return to the ground in the case the start was aborted. The Skylancer also proved useful to these tests, because she was one of the first planes that had the capacity to fly upward vertically. 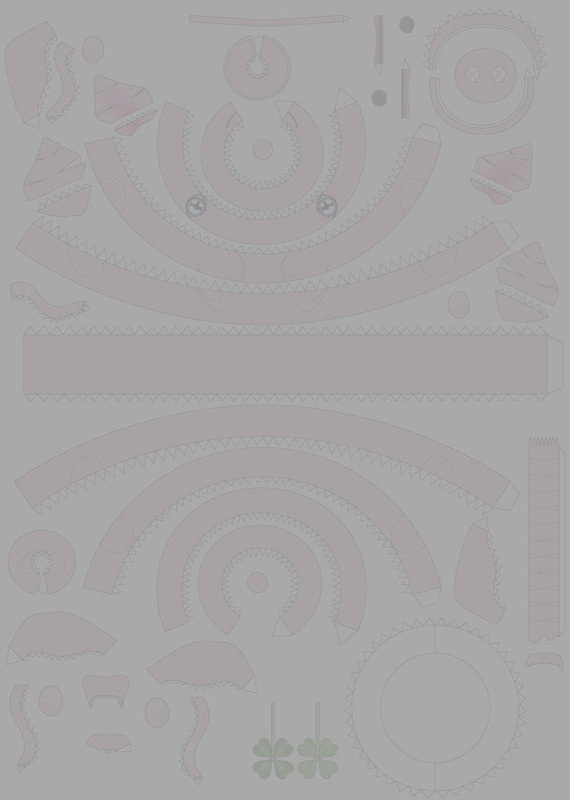 It is said that test pilots regarded these maneuvers as big fun. One of them was Neil Armstrong, who went on to become the first man on the moon. A Skylancer as chase plane during the Lifting body program. Notice the Martin X-24 under the B-52's wing. After the X-20 program had been chancelled, the Skylancers were used as chase planes. Chase planes are the planes that fly behind experimental aircraft to give support to their pilots. 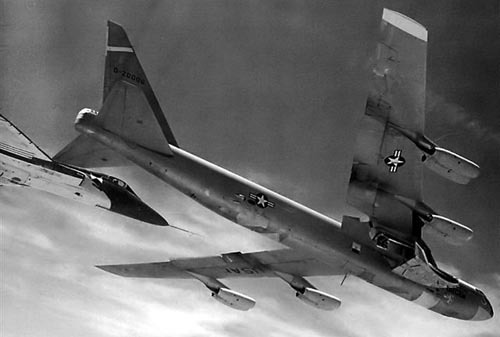 Among the tests in which the Skylancers served as chase planes was the Lifting-body-program. One of NASA’s four Skylancers was refitted with an ogival-wing and extended air intakes to be used as a test platform for the american supersonic-transport-program. Data of these tests was later used in the construction of the european Concorde, whereas the data collected during the test of the Dynasoar-project played an important role in the development of the first space shuttle. NASA’s last Skylancer was retired from service in 1970 and can be seen today at the Neil A. Armstrong Museum in Wapakoneta. This Skylancer is refitted with longer air intakes and so-called ogival wings during the supersonic transport tests.